The first ones to fight the alien creatues was Arnold Schwarzenegger and his army of mercenaries who basically had no chance against the monstrous killer machines. In the "Alien vs Predator" film humanoid monsters fight against aliens (known from their own film series). 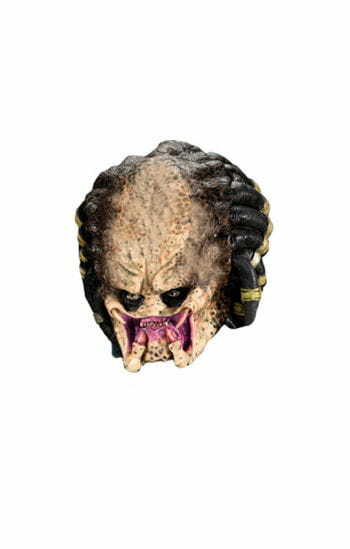 The Predator Child Mask is a 3/4 mask made of vinyl that turns our little ones into evil creatures from outer space. The mask has the features of a predator with dreadlock style hair and a mouth full of horrifying fang. In our shop you will also find the Alien Mask Vinyl Small.